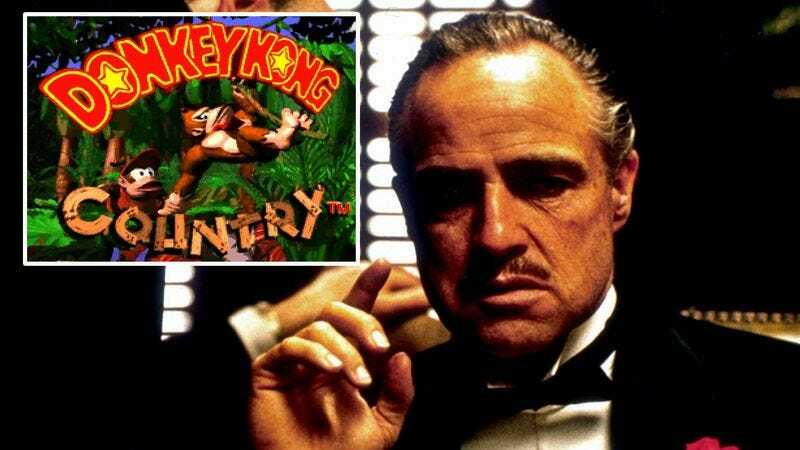 Things may not end well for one content creator, whose painstaking scene-by-scene mashup of The Godfather with the Donkey Kong Country soundtrack has director Francis Ford Coppola thirsty for vengeance. Any director would be upset, but Coppola is taking action. Shortly after the Donkey Kong–Godfather cut went up online, the 76-year-old reportedly hit the road with a toolbox and an attaché case in his passenger seat, headed east. That was three days ago; he hasn’t been seen or heard from since. What do you think? Are you #TeamFrancis or #TeamDK? Let us know in the comments!